Before this visit, I had once previously been to Amsterdam and loved it though I couldn’t really remember why. Now I do. Here is the down low on what makes Amsterdam awesome. In terms of petty and serious crime, Amsterdam is one of the safest places in the world. You can walk down any street day or night, busy or not, and feel 100% safe. Everyone minds their own business and the trams run very late so if you don’t feel comfortable walking, you can quickly hop on one. This feeling extends to the famed Red Light District, which like any place that draws tourists, probably has a lot more of a threat of pickpockets and petty crime. But it’s about the same level of danger as walking on any street in New York. The only real threat to safety comes from bicyclists. Amsterdam has a really intense bike culture. To cross any street, you have to watch for cars, trams, and bikes. The problem is bikes are the hardest to spot, especially if you’re on a corner and they come quietly around the bend. If you’re careful, you should be fine, but it’s a definite safety hazard. 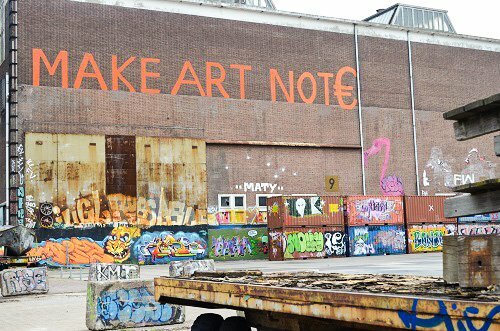 The artists of Amsterdam adorn the old shipping containers of the NDSM wharf. Amsterdam is the epitome of a nice city in every sense of the word. It has enough character to give it a nice hipster vibe, but overall, the city is spotless, the buildings and homes are well kept, and everything is just pristine. We even ventured out via ferry to the NDSM dock, which is an old shipping yard turned giant art commune. I figured this would be a little more derelict and shady, but even graffiti-covered and partially abandoned, there’s a certain tidiness to it. There, you can get a meal or a snack at a restaurant fashioned from old shipping containers. You can even live in one! 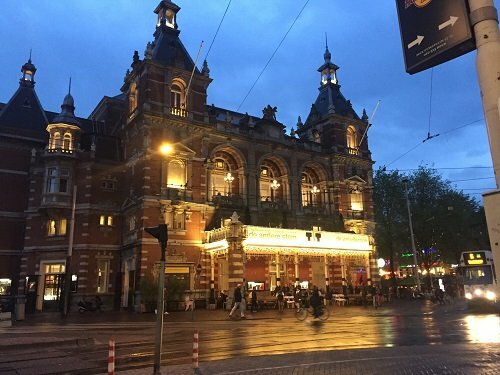 Unlike other cities which have many different kinds of neighborhoods, all of Amsterdam feels very much like Amsterdam: cultured, curated, and buoyant. There’s a great variety in places to shop, eat, and drink and the people are friendly just about everywhere. Speaking of people, I love the Dutch. From my previous trip, it’s what I remember most, that the people were friendly and welcoming. This trip was no different. 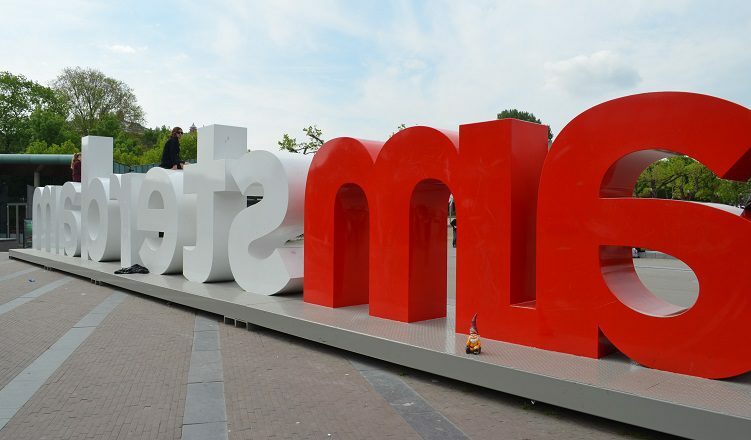 Everyone in Amsterdam is just in a good mood all the time. A perfect example of this was at a bar in the Red Light District. The bartender, outrageously kind and friendly, struck up a conversation with us and even gave us a free top-off on our beer. In many other countries, people do that because they want tips. But when we tipped him, he was so genuinely grateful and surprised that he asked us for a hug – the lift-us-off-the-floor kind of hug people give old friends they haven’t seen in years. The people of Amsterdam are also extremely attractive. And there’s no better combination than people who are hot and also friendly. 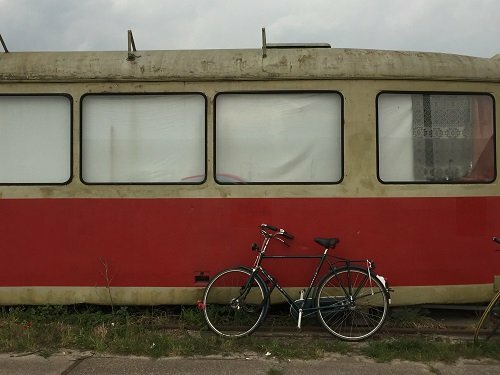 Your best bets for transportation in Amsterdam are bikes and trams. These are also the two things most likely to kill you in Amsterdam. Amsterdam is extremely walkable, but it also has a very efficient tram system that is quite easy to figure out. We even took a ferry to and from the NDSM ship wharf and it was the simplest thing in the world to use. They run relatively frequently, too. My favorite part about the public transport is that you can buy your ticket on the tram. So you never have to miss your train because you’re standing in line at the station to get a pass. If you like biking, this is also an excellent town for you. Bikes have their own throughways and even traffic lights. Amsterdam has a lot of variety in food, though not as much as you might expect from a major metropolitan city. For some reason, there is an abundance of Argentinian steakhouses. Go figure. Many of them are overpriced and not very good, so check reviews online before sitting down for a churrasco. The good thing about the city is that you can spend a lot on a meal if you so choose or you can get an awesome burger for 3 Euro. Or a snack from a FEBO automatic fast food joint for even less. No matter how poor you are, you’ll never go hungry. Outside of food, though, the cost of living in Amsterdam is pretty high. Apartments are in the over 1000 Euro range and according to my bartender friend, “you don’t want to live here; the taxes are too high.” Though some would consider it a small price to pay for such a well-structured and maintained city, it’s not such a good deal if your rent is that high. 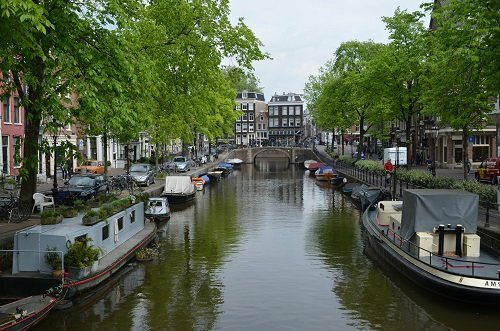 Amsterdam may be a bit of a dream destination to live, but without a really good job, it would be hard to realistically take up residence along their beautiful canals. And I’m not sure if I’m ready to join the working girls of the Red Light District. Not yet, anyway.